Bvlgari Mon Jasmin Noir is a floral fragrance, sparkling and seductive. 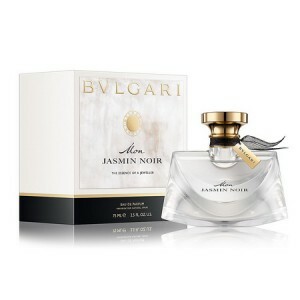 Bvlgari Mon Jasmin Noir 75ml. Eau De Parfum is a new continuation of the "Jasmin Noir" spirits known to the world since 2008. In a new interpretation of the fragrance, the overall palette of perfume became more light and airy, but at the same time it did not become too dilute and passive. The previous level of flavor told us about the whole metamorphosis during the movement from light to darkness, but the new fragrance of perfumed water Bvlgari Mon Jasmin Noir began to talk about the opposite. Here the movement goes from darkness to light, from heavy notes to light and weightless, full of light and tenderness. This feminine fragrance not only brings the mood of mystical jasmine into our lives, it creates a situation in which the symbolism of its filling tells us that in life everything is always too changeable. In this there is nothing wrong, because if there is dynamics, then even bad at any moment can be changed to good, and the light lightness of this perfume will only inspire this movement. Bvlgari Jasmin Noir Mon - The younger sister of dark and mysterious Jasmin Noir from Bvlgari. It is a new Bvlgari flower that flourishes with sensuality and mystical romance. The fragrance Jasmin Noir Mon is mysterious and yet refined. A playful and intuitive personality is hiding behind the mask of sensuality. She is elegant and energetic at the same time. Like a seductive beast, it is elegantly approaching and swallows you into the infinite scent of lily of the valley and jasmine Sambac. Passion and modernity mingle with citrus freshness, with a hint of musk and cedar wood. The sweetness of the whole scent adds to nougat. This unusual combination will delight you, become a perfect part of your personality. Jasmin Noir Mon perfume reminds us again of the impeccable value and refinement hidden in the heart of the Bvlgari brand.